China has reportedly banned Fortnite, the most popular battle royale game in the world. It looks like Chinese Fortnite fans may no longer be able to enjoy their battle royale in their country, as the Chinese government has reportedly banned certain games. After the Chinese government formed the Online Ethics Review Committee in December, a series of games went under review by the Committee to determine whether or not they could simply be altered to fit the country's stringent rules, or be based outright. The list of games that should apparently be banned includes Fortnite. 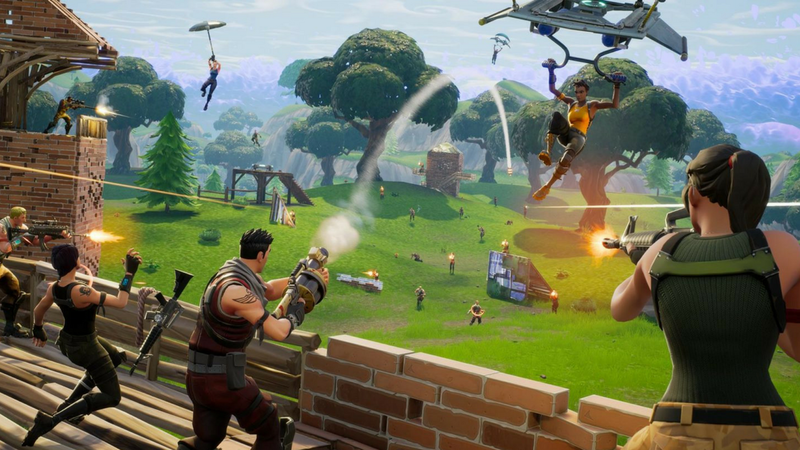 According to a Chinese video game form called NGA, the results of the survey were posted to Reddit and include Fortnite and a number of other high-profile games as well as commentary on each title. The list includes games like League of Legends, Overwatch, World of Warcraft, PUBG, H1Z1, and Paladins. 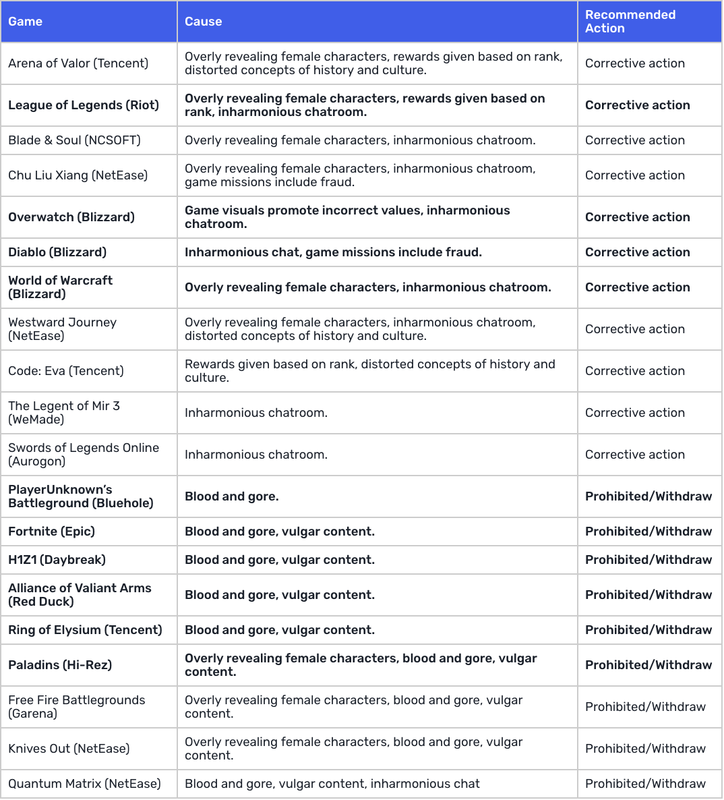 Many of the games have been given "corrective action" status, which means the games can likely be edited to remove the offending content, such as Overwatch, Blizzard, and World of Warcraft. Overwatch's game visuals "promote incorrect values" and it features an "inharmonious chatroom," for instance. Diablo has game missions that "include fraud." However, PUBG and Fortnite have been persecuted for their inclusion of too much blood and gore as well as vulgar content. It's interesting that Diablo wasn't targeted for having "blood and gore," because have you seen Diablo or its marketing? But no one said the Chinese government was good at classifying or evaluating games. You can see the full list below. The full list hasn't been confirmed by the Chinese government as being correct, nor have the individual developers of each game spoken up to confirm the ban. To that end, it's important to understand that this list could be a hoax or hearsay, especially since Tencent originally spent a great deal of time and effort bringing Fortnite to China earlier this year. We'll bring you more on the issue if it ends up spinning into a factual affair, but for right now consider the story to be still developing. Overwatch's game visuals "promote incorrect values" if gratuitous booty shots are incorrect I don't want to be correct. Honestly, I think a big part of this is China trying to clamp down on methods of chat that they can't monitor. At the same time, these games are so enormously popular, they couldn't have picked a more popular list of games. Interesting to see how this will go down. I heard its more that the culture side of the government thinks addictive gaming is an epidemic that needs to be controlled much better. To them having the young male Chinese population wasting so much time playing video games is a problem that needs to be controlled. So they are trying to regulate replayable and popular games out of existence. They aren’t playing, they are “working”.